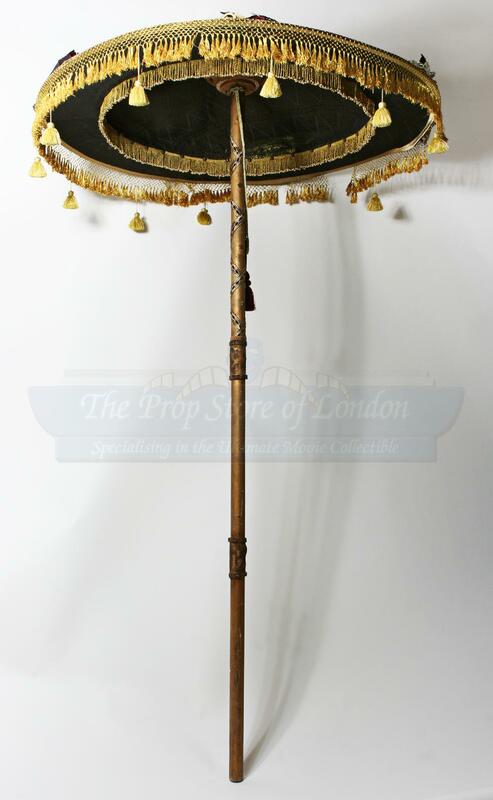 This is Gracchus's (Derek Jacobi) Parasol used in Ridley Scott's 2000 epic Gladiator. 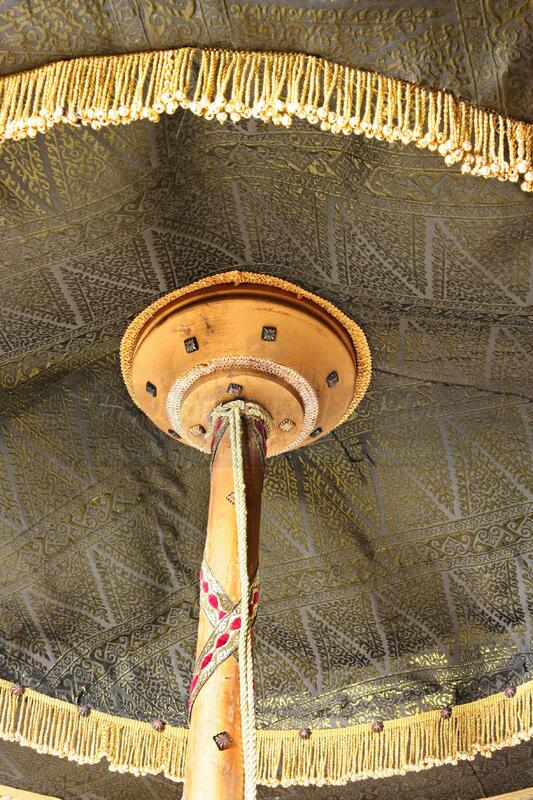 When Senator Gracchus is taken captive by Roman legions at his home, this Parasol can be seen in the background. 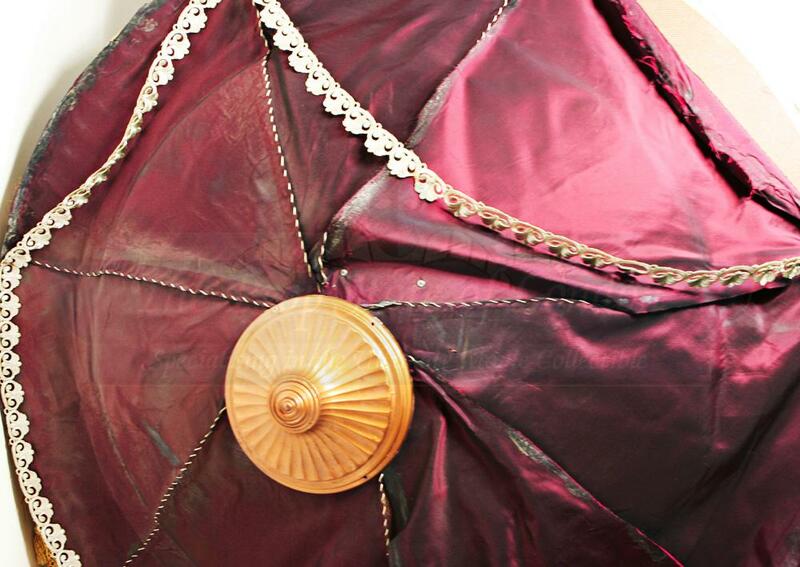 The top is composed of a shiny maroon fabric with white trim and gold tassles around the perimeter. 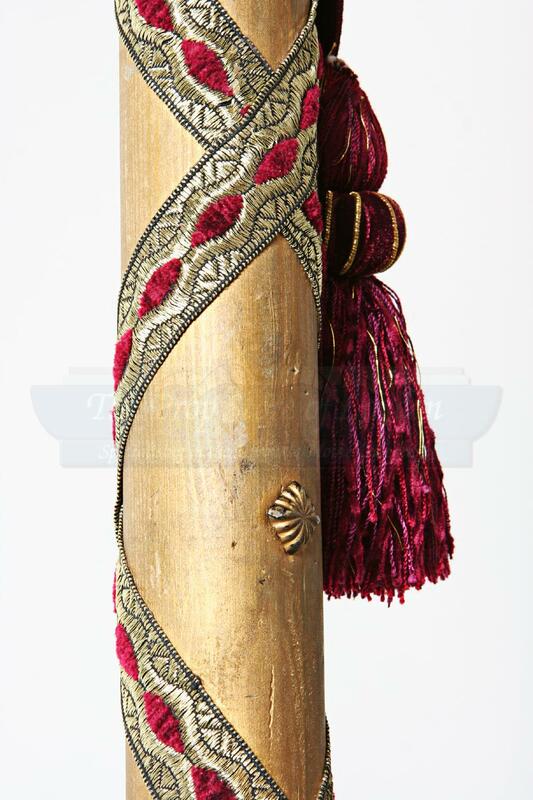 The pole support is made of wood and features exotic silver and maroon trim with two leather hand grips. It measures 7' x 4' (213 cm x 122 cm). 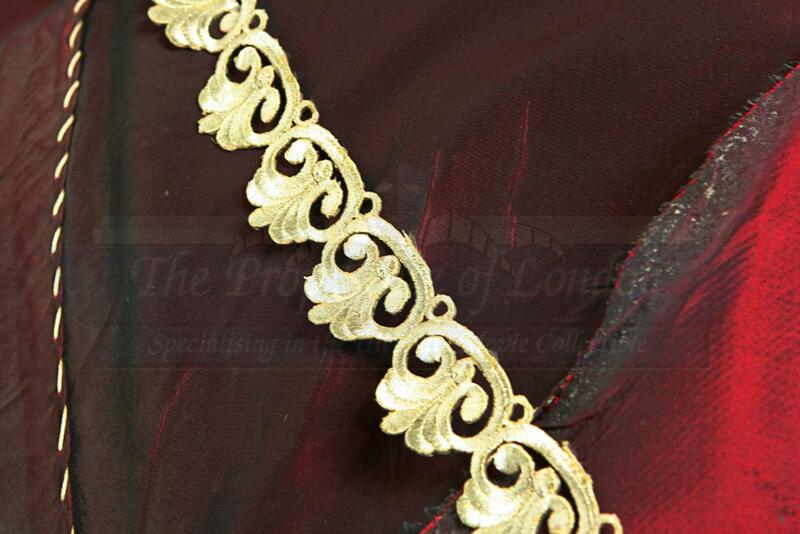 It is in good condition, some fabrics on top have become unglued, but they are still present; this can be easily repaired.